Elephants have huge brains to accompany their huge bodies and are famous for their long-term memories. They not only remember each other, even after years of separation, they also remember landscapes. African savannah elephants live long lives in often harsh conditions that require smarts to survive. If they can remember sources of water and food that were reliable in a drought 20 or 30 years ago, they may save their herd in the next drought. Matriarchs of African herds can live for 60-70 years, and older females seem to be the key to remembering these critical resources and leading their herd to them in times of food and water scarcity. But what else do they remember? Research on elephant movements in South Africa has shown new aspects of elephant's tremendous memory. 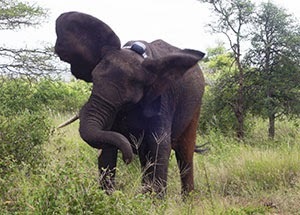 While tracking elephants using GPS (Global Positional System) devices that record the location of each tagged animal every 30 minutes, scientists at the University of KwaZulu-Natal found that the elephants have not only memorized the locations of the many kilometers of fencing that surrounded Kruger National Park but also deliberately avoid these barriers to their movement. They may associate areas outside the park with threat, and the observed ellies tended to stay 2-4 km from the park boundary, even after the fences were removed. Elephants avoided crossing the boundary for up to a year after the fence removal. Elephants also remember nasty encounters with bees and avoid known beehive locations. This is the key behind one strategy to avoid conflict between elephants and local farmers in Asia and Africa. 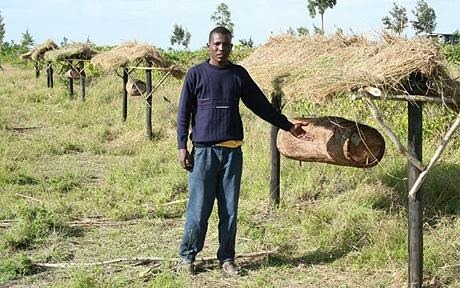 An experiment aimed at reducing crop raids by elephants in Kenya created a fence made of beehives carved from logs that are suspended on poles beneath tiny thatched roofs (to keep off the sun). In this type of fence, wire connects the hives, which elephants avoid. 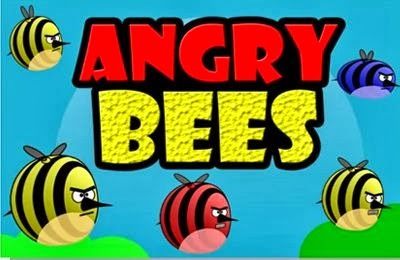 They will try to push through the wire, but this makes the hives swing violently and angers bees inside. Adult elephants have thick skin, but bee stings around their eyes and trunk hurt, and a mass of pissed-off bees can do major harm to elephant calves, which have thinner skin. Elephants fear and remember attacks of angry bees and will actively avoid disturbing beehives, even when they are empty. The beehive fences are cheap to construct, and they serve double duty by providing farmers with marketable honey, though the original design stems from elephant protection work by Lucy King of Save The Elephants. For more on the project, click here. This is the key behind one strategy to avoid conflict between elephants and local farmers in Asia and Africa. Hi Steph, yes, agreed. Relying on elephants' great memory is also key to throwing hot chili powder at crop-raiding elephants and then wrapping the chili powder with oil onto rope fences around crops to remind them how awful that sensation was... Elephants are clever, strong, and determined. Plus they need a lot of food, and we keep crowding them out of their homes. It's very tough for local farmers and for elephants.